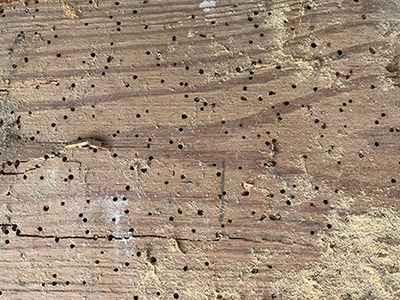 Woodworm attack is varied - both in the type of timber which different species infest and their larval life-span which can range from ten months to 11 years. This means that accurate identification by the surveyor is the first essential step because not all infestations need treatment. 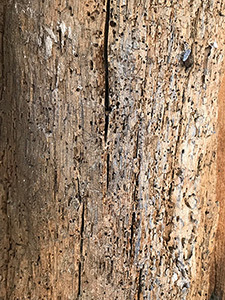 Where timbers are heavily infested by woodworm and wood rot and have to be cut away and replaced, our surveyor will also consider all the structural aspects of the building. We use chemical insecticidal formulations applied by spray, brush or paste that carry very little odour and permit re-occupation of treated areas within 1 hour. We will provide a 10 year guarantee for timber infestation treatments. An additional GPI (guarantee protection insurance) guarantee can be purchased which will run alongside our own guarantee, please request a leaflet for further information. When the office is closed an answerphone service is available.